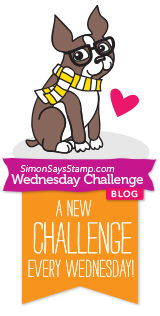 Cathy's Card Spot: Something old, but new! Hi everyone, I'm so glad our internet is fixed! It was good in some ways as I got more cards made instead of perusing pinterest and new products to buy lol! I managed to find this very old Stampin Up stamp called En Francais, so it's old but new to me! I stamped and embossed the text then applied distress inks to give it a sort of parchment feel. The butterflies are coloured with Inktense pencils, I couldn't quite get them the same colour! The background layer is recycled chipboard from a notepad with gold metallic paste rubbed on the edges. The tag is diecut from a snippet of white card and I distressed it before deciding to add the metallic paste as well. Pixie's Crafty Workshop where you only need to use one scrap or snippet to join in the fun! Seize the Birthday, I've gone with the anything goes option. Bizzy Bec's Store Blog where it's anything goes. 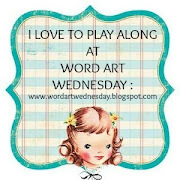 Simon Says Stamp Wednesday where the theme is things with wings. Darkroom Door butterfly stamp; versafine ink, clear ep. Stampin Up En Francais stamp; distress ink; Jim Allred metallic rub ons; Inktense pencils; MFT label die; sentiment sticker. Kaisercraft pearls. Absolutely gorgeous card Cathy - it does have a really nice vintage feel as Liz says. Great to see you in the Playground!! Wonderful card Cathy, love that background and the butterflies are a perfect compliment to the base colour. Perfection. Love how the butterflies look like they are spotlighted on this card. Beautiful coloring! Sometimes the challenge is to use the older stamps that we have forgotten about. Thanks for playing along with us at Seize the Birthday! This is beautiful! I love the script on the background and those butterflies are gorgeous. 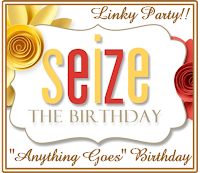 Thanks for playing along with us at Seize the Birthday! Such a stunning card. This is absolutely lovely! This pretty card really caught my eye and I had to come by and take a closer look. So pretty, Cathy. Thanks so much for sharing this in our challenge. I'm always SO grateful for your participation. What a gorgeous card, so creative.